Ganesh Chaturthi is a widely celebrated Hindu festival in India in honor of god Ganapati or Ganesha. It was introduced by Mr. Bhausaheb Laxman Javale in 1892 in Pune to unite people. It falls in Bhadrapada as per Hindu calendar and anywhere between months of August to September as per Gregorian calendar. In this Article we are going to see Effects of Ganapati Festival on Environment and the most appropriate Eco Sensitive solutions for traditional ceremonies. On Ganesh Chaturthi, many worshipers or devotees bring Ganapati idol (small clay statues) for ten days. In those ten days people visit relatives, nearer public Ganesh Idols. Also devotees listen to spiritual songs and offer flowers, Modak, Durva etc. Each day ends with singing Aarti in honor of Ganapati, other gods and saints. 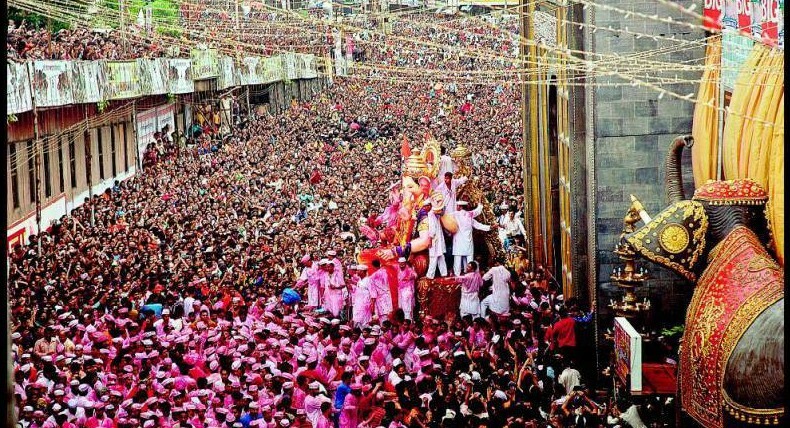 Though Ganesh festival is celebrated in India, the maximum enthusiasm is seen in Maharashtra State. Anant Chaturdashi is the last day of Ganesh Festival and is a big day of great joyousness for devotees. While celebrating Ganesh Festival people generally ignore environmental impact of pollution on Air, Water, Noise, solid Waste, etc caused by various activities performed in puja. During this festival, fireworks and crackers are used in abundance by the devotees for expressing their happiness. This leads to Air pollution, as harmful gases and toxic substances like Barium, Cadmium, Sodium, Mercury, Nitrate and Nitrite are released into atmosphere. Also, respirable suspended particulate matter (RSPM) level goes high in this season as small particles are released into the environment by these firecrackers. Increase in consumerism during the festival increases traffic congestion which in turn increases air pollutants, which are released into the atmosphere by vehicles. The celebration of Ganapati festivals lead to increase in the level of harmful gases in atmosphere like Sulphur dioxides (SO2), Carbon Monoxides (CO), etc. In recent years, we have seen increased awareness about water pollution caused by visarjan i.e. immersion of Ganesh Idols in lakes, rivers and Sea which are made out of Plaster of Paris (PoP) i.e. calcium sulphate hemi –hydrate. It takes several months to totally dissolve Ganesh Idols made up of PoP into water. Also, colors used in decoration of idols contains harmful chemicals containing mercury, lead which leaks into water as idol dissolves. It increases acid content, Total Dissolved solids (TDS) and Heavy metals in water. It kills aquatic plants and marine life, damaging ecosystem under water. Along with Ganesh idols people dump other accessories like thermocol, plastics, etc. as well adding to the level of water pollution. Devotees celebrate the prestigious festival with all possible means of loud music like listening to bhajjans, kirtans and songs using massive speakers. During Anant Chaturdashi, which is the final day of the auspicious Ganesh festival, we witness heavy traffic on the roads, which leads to an increase in Air (particles from vehicles) and Noise (excessive honking) pollution. Along with Idols several other accessories are used in worship of Ganapati such as, flowers, fruits, coconuts, incents, camphor, cloth, plastic, thermocol. Etc. It is collectively called as Nirmalya. Every year government spends crores of rupees to clean and dig out tons of garbage from natural water sources such as rivers, lakes etc. These are all ill effects of Ganapati festival and is essential for to know everyone, so that it becomes easier to take initiatives to reduce bad effects of Ganesh Chaturthi on environment. In the festival people are blindfolded themselves in the name of god and are totally ignoring responsibility of environment while accomplishing spiritual motives. 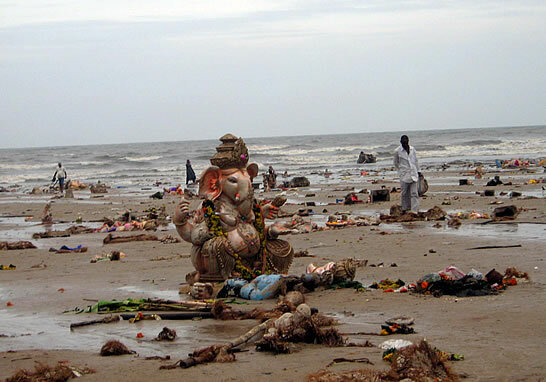 It is possible only after they understand that they cannot make god (here Ganapati) by damaging environment. Rituals of worships are not created by gods but by humans. We can make changes in them to reduce impact on environment. It is not correct to accept rituals which in turn causes harm to the nature. Immersing or visarjan the idol into tanks which are created by government instead of immersing it into natural bodies. Using of natural clay (Shadu) idol i.e. Eco-friendly Ganapati idols and immersing it into bucket of water at home as it takes several hours to totally dissolve in water. Immersing ‘Betel Nut’ into water which symbolizes Ganapati into water and reusing same Idol of Ganesh. Also permanent idol made up of Metal such as copper, brass can be used for every year. If some is using PoP idol then it can be reused and spread the word that from next year idol made up of natural clay can be used. Nirmalya collected during immersion ceremony can be put in separate container (shaped as Kalasha or traditional pot). Mumbai and Pune municipal have already started this method to avoid introduction bio-degradable substances into water. Avoiding introduction of non-bio degradable material such as plastic, thermocol into water instead it can be reused in next year. Earlier people used to immerse thermocol along with Ganesh idols. Government has creating awareness to make people realize that importance of Nature and spreading awareness of Ganesh Visarjan effects on the environment. Many measure have been taken by government to bring awareness amongst people to minimize impacts of festivals. Several NGO, Organizations are working hard to make people realize harmful effects of Ganapati festival. It is important to celebrate Ganapati festival, but we cannot make Ganapati happy if we destroy his gift i.e. nature. Let’s make Ganapati and Mother Earth happy by celebrating eco-friendly Ganesh Festival but most importantly not compromising on enthusiasm. 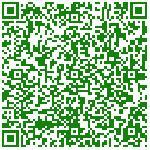 Share this article on Facebook !! Also read about Effects of fireworks in Diwali festival. We are Mumbai Based Environmental Consultant company offers services in environmental Monitoring and Consultancy for our clients. good article do have this in marathi?